As a young arts and culture journalist in the early 1990s, Eddin Khoo ventured up to the north-eastern Malaysian state of Kelantan to write about the cultural politics that was taking place there at the time. In 1991, the PAS (Pan-Malaysian Islamic Party) state government of Kelantan proscribed the traditional performing arts, a culmination of dogmatic ideological forces attempting to redefine cultural life. 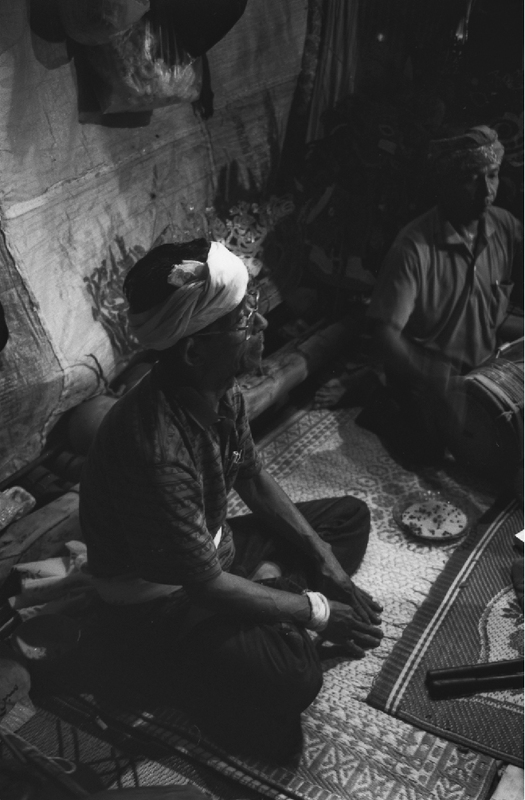 Eddin spent the next decade independently researching, writing about, and finding ways to support and revitalise the traditional arts of Kelantan, working closely with masters and custodians of the Wayang Kulit, Mak Yong, Manora, Main Puteri and Dikir Barat traditions. PUSAKA was formally established by Eddin in 2002 at the behest of traditional masters in Kelantan – the great Wayang Kulit master puppeteer, the late Abdullah Ibrahim, fondly known as Tok Dalang Dollah Baju Merah (Dollah of the Red Shirt); renowned Mak Yong prima donna, the late Che Ning; legendary Manora master, the late Pak Eh Chom; the godfather of Dikir Barat, the late Daud Bukit Abal; among others. It is the deep art, knowledge, and sensibility of these masters that first urged PUSAKA’s vision and continues to inform all of our work. PUSAKA now partners with 25 communities of traditional performers throughout Malaysia, including Mah Meri dance and Kompang Jawa of Selangor, Kuda Kepang and Kompang Jidor of Johor, Portuguese dance of Malacca, Boria and Teochew Puppetry of Penang, Awang Batil of Perlis, Nading Rhapsody of Sarawak, and the Urumee Melum drumming tradition. PUSAKA delves into and documents each cultural tradition to discover and understand the diversity of this country in the deepest sense of the word. We work closely with master performers to enhance the viability of performance traditions, and to pass down their knowledge to local youth in their communities. Underlying PUSAKA’s work are explorations and interrogations of the nature of culture and human nature – of semangat, angin, spirit, temperament, the essential self. In an interview with PUSAKA, Tok Dalang Dollah Baju Merah once reflected on the purpose of Wayang Kulit: “It is for pengetahuan (knowledge) – to distinguish between good and bad, and to understand our jati diri (inner selves). Without that, what would you have? Nothing. Just observe the world around you – only noise. So much noise, but nothing…” The cultural traditions that PUSAKA works with illuminate history, and are born of the centuries of cultural confluence that have shaped communities in Malaysia -- odysseys of ancestors that still pulse in the bodies, blood and spirit of our people.